Let the West Shore be the hub for all of your winter activities! Homewood Mountain Resort, sister property to the West Shore, is located right across the street from the Cafe. Voted the resort with the best view in North America by Liftopia, Homewood has a variety of terrain available for any ability skier or rider. Their Ski & Snowboard school offers beginner to advanced classes for the young and the young-at-heart no matter what your ability level. 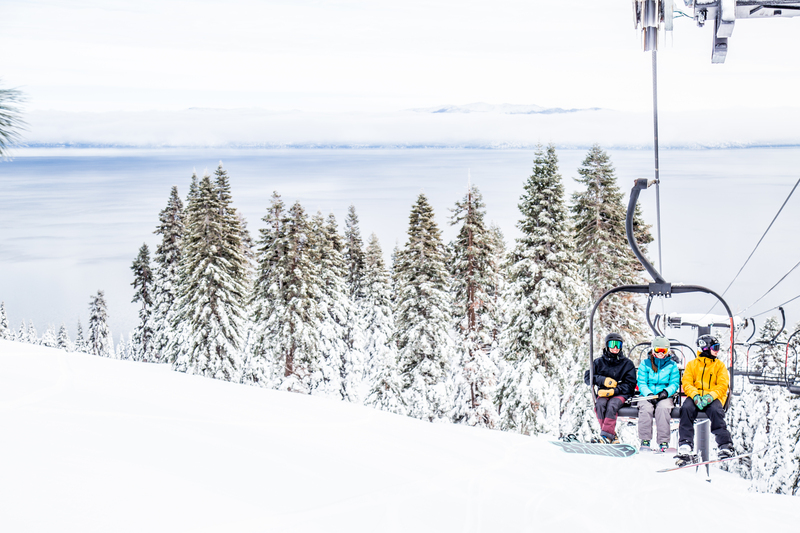 First timers will get a jump start on learning the sport, while experienced skiers and riders can take their skills to the next level, all in Lake Tahoe’s most beautiful setting. About 15 minutes down the road for the West Shore Cafe, Sugar Pine Point State Park offers over 11 miles of groomed cross country ski and snowshoe trails (map). Follow the paths as the informational signage talks about Sugar Pine’s role in Nordic events during 1960 Olympics. The State Park also puts on several guided tours throughout the season, like their “Snowshoe through History” and “Full Moon Snowshoe Tours”.